with 3 people sharing a vehicle. Monthly newsletter to remind you of showings that month. 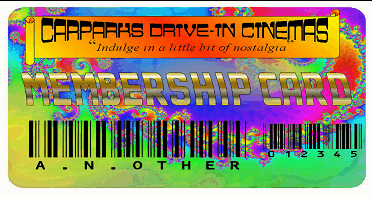 Cost of membership includes a free pass to a future drive-in movie event with Carparks Drive-in Cinemas. You are entered into a monthly free draw to win a free drive-in movie ticket that month. Membership cost £20 per year and includes a free pass to a showing. Call or text 0790 177 3059 for details.